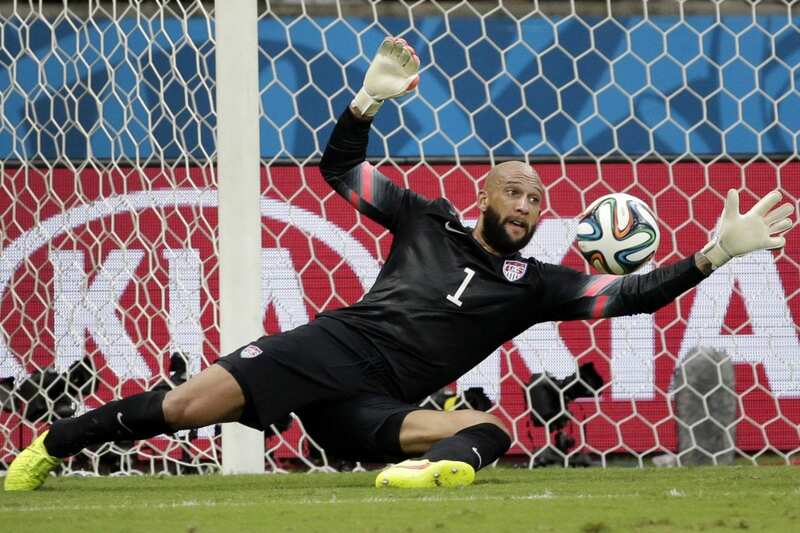 Four years ago, U.S. goalie Tim Howard was making save after save against Belgium in the round of 16 at the 2014 World Cup. His 16 saves that night helped the Americans stay level at 0-0 through regulation. During extra time, however, the Belgians were finally able to get past Howard, scoring two goals in what would be a 2-1 victory. Though the Americans lost, Howard was FIFA’s Man of the Match. His 16 saves were the most in a World Cup match since 1966, when FIFA started keeping records. Four years later, all Howard can do is watch the 2018 World Cup. The United States failed to qualify for the first time since 1986, and thus ended Howard’s hopes of appearing in a fourth World Cup. But since he can only be a fan, Howard is pulling for a couple nations in particular, teams featuring some of his friends. He’s made many over 20 years of professional soccer, which has included time in the MLS (New York/New Jersey MetroStars, Colorado Rapids), English Premier League (Manchester United, Everton) and 121 caps with the U.S. national team. England, which faces Sweden on Saturday in the quarterfinals, is one nation he’s pulling for. The other? Belgium, the squad against which he earned so much worldwide acclaim four years ago in likely his last World Cup match. Belgium, which is ranked No. 3 in the world, takes on No. 2 Brazil on Friday. “These are guys who I played with over the years, and shared highs and lows with and consider very good friends,” Howard said. When Howard calls it a career (which he hints could come after the 2019 season, when he’ll be 40), he’ll likely be most remembered around the world for that Belgium game. That match became both a blessing and a burden. If his foundation wasn’t in Christ, Howard might not have handled the situation well. “Being grounded in your faith in vitally important. I think it also comes with putting good people around you, whether that’s other believers, whether that’s just people who you trust. Everybody wants a piece of the pie when you get famous or you get a good contract or you’re on TV — whatever someone deems to be famous. Howard came to know Jesus through little nuggets and little truths from his grandmother. “My grandmother was great. We had a bunch of little cousins all running around and she would herd us up and make sure that we got into church on Christmas. She would say, ‘Just make sure you come to church on Christmas and Easter, start there.’ And so we went. We’re sitting there and getting in trouble as you do when you’re young in church.